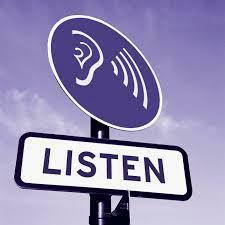 In the last two brief articles we talked about Listening Differently as well as Listening for the Untold Story. In this article we’ll talk a bit about mutuality. Good questions are key in listening. But if you don’t share your own views and stories, the conversation can seem more like therapy than a conversation between peers. Knowing how and when to share your story while keeping a connection is critical. Okay, so you’re doing WRAP with Julie who shares with you that she’s just written a paper on people who self-injury. She talks about her own experience with self-injury in terms of symptoms. You asked her what the self-injury means to her and she said the doctor told her it was a way of getting attention and Julie agrees. Your blood is beginning to boil but you think, how can I maintain this connection while still adding my piece? You say, “I know, I did too for the longest time and then I realized that what I really wanted was a connection. A place where I wasn’t being judged. Somewhere where someone sort of “got” my pain. Now you and Julie have laid the groundwork for going deeper if you want to, the conversation becomes more about mutual learning and you both come away with something more. Let’s try another example. Elise and Ron are working on Ron’s WRAP. They have just started on the ‘when things are breaking down’ part when Ron says, “You know Elise, I feel like all I can do at that point is go to the hospital.” Elise could get very authoritative and say, “Let’s look at your wellness tool box and see if there are other things you might try” (in which case Ron probably won’t feel heard). Or, she could say, “I wonder what it is about the hospital that makes you think that’s all you can do when you get to that point?” (asking about the untold story). If Ron says something like, “It’s really the only place I feel safe”, Elise could share something of her experience. She could say, “Ron I can so relate to that. Before I did my WRAP I thought of safety as having all my decisions made for me, and the place where that used to happen was when I was in the hospital. I have to say, now, even when I’m struggling, making my own decisions feels better to me.” Now they can have a discussion about what safety means and both benefit. Shery Mead has been developing and teaching intentional peer support since 1995. Intentional Peer Support is a way of thinking about and inviting transformative relationships between people. In this process we learn to use relationships to see ourselves from new angles, develop greater awareness of personal and relational patterns, and support and challenge each other into trying out new ways of seeing and knowing. We do this by following 3 principles and 4 tasks. The principles include the idea of learning together rather than the intention of helping each other, a focus on relationship as opposed to a focus on the individual, and paying attention to hope based interactions rather than reacting out of fear. The tasks include connection, worldview, mutuality and moving towards. Shery has done extensive speaking and training, nationally and internationally, on the topics of alternative approaches to crisis, trauma informed peer services, systems change, and the development and implementation of peer operated services. Her publications include academic articles, training manuals and a book co-authored with Mary Ellen Copeland, Wellness Recovery Action Planning and Peer Support.